When it comes to an itchy dog or cat, it can cause not only anxiety with you “the owner” but also with your pet. They will not be able to stop itching, and an itchy pet can become a habit even after the problem is resolved. Lice, first off, can only be transferred Pet-to-Pet, so don’t worry about contact with your pet. Also know, that Lice on Dogs is VERY rare. Lice will have legs and can be seen on the skin of your cat or dog. Nits (eggs) will be attached to hair on your dog and look a lot like white spots. It is typically contracted similarly to a child would. From bedding, brushes (grooming utensils), furniture, Pet-to-pet, etc. So be sure to clean everything. You will want to place all bedding and (pet) clothing in airtight bags to suffocate any lice. Using a washing machine will not kill lice. 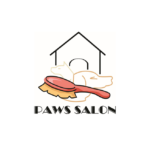 You can schedule your pet with a groomer who is familiar with special shampoos used to treating lice, or if you were given shampoo from your Vet, your groomer can also wash your pet with that shampoo for you. Fleas will be transferred pet-to-pet, and from the environment. • Use a degreaser soap (Dawn or Palmolive) and “WASH” your dog or cat “DRY”. Meaning don’t get your pet wet and rub the soap throughout your pet. Once you have all the soap on and throughout your pets coat, begin to rinse. • How this works, is the Fleas protect themselves from water by building a bubble around them to keep them from drowning. Therefore a washing machine won’t work, so when you place a “degreaser” soap on there coat, it prevents them form forming this bubble, and they will drown once you start to rinse the soap off the coat. If you are planning to visit the coast where fleas will likely be, or it is spring and fleas will begin to show up in the environment, consider a “spot on” treatment. You might enjoy the benefits. Any illnesses the fleas and lice could carry can be avoided if your pet is able to fight them off. Also, if you can avoid bringing these pest back to your home, you will avoid the joy of deep cleaning your house and car.